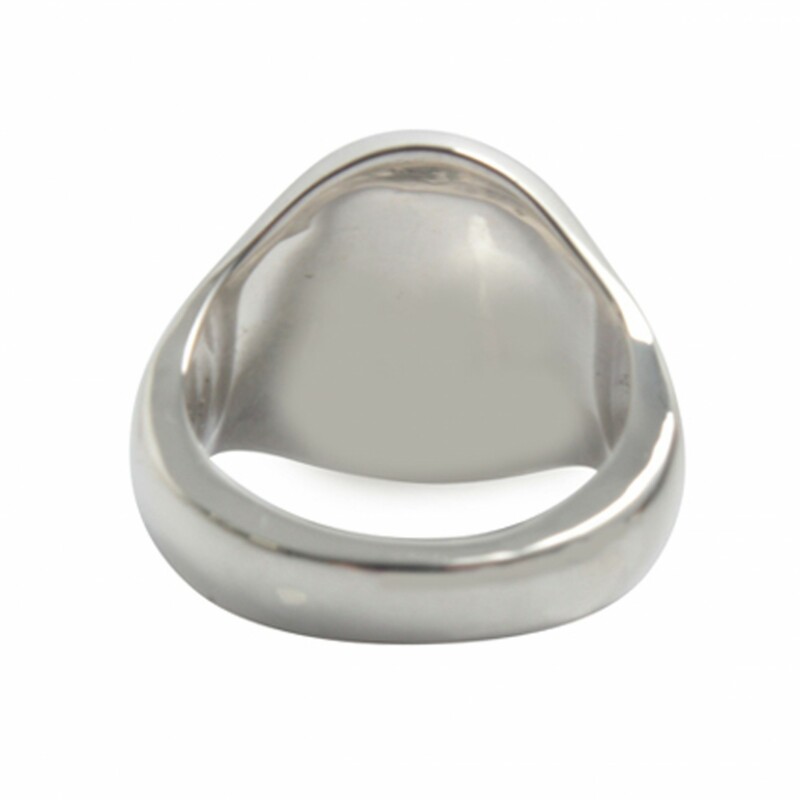 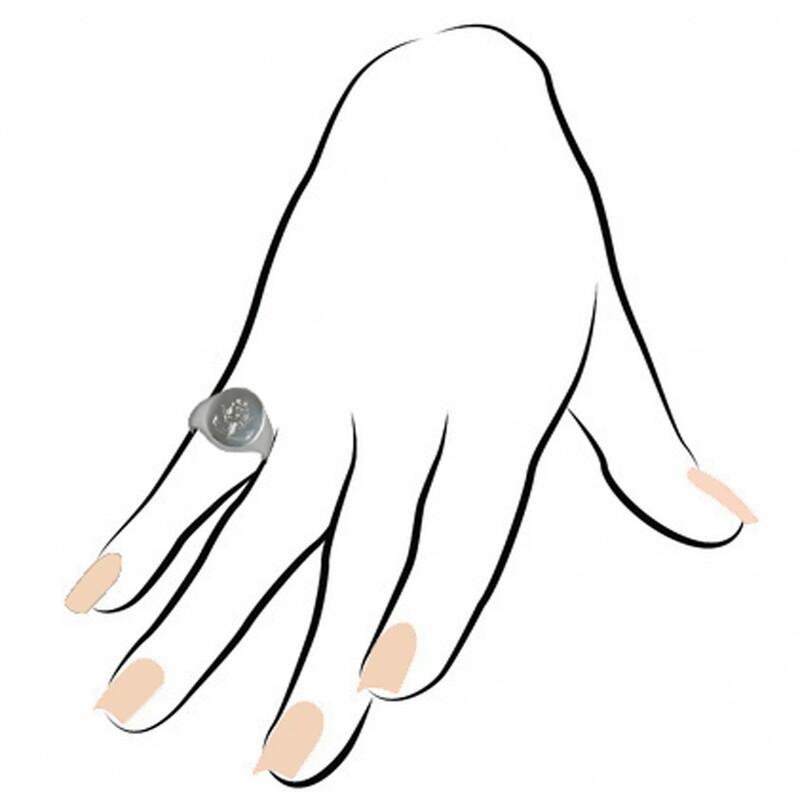 Chunky, round silver signet ring. Choose this style in gold, platinum, or palladium, among other metals, all Hallmarked. 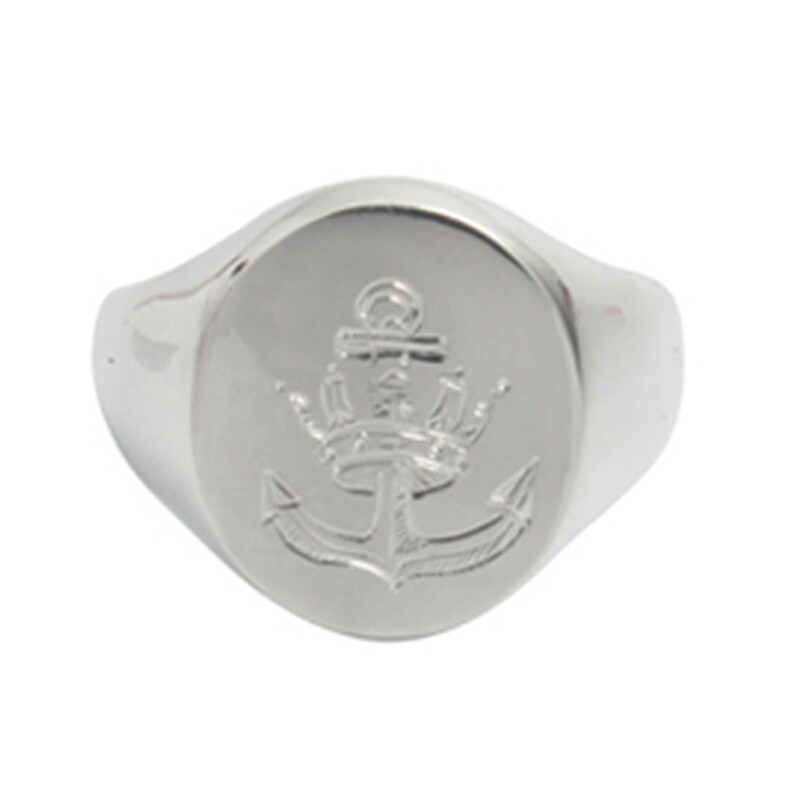 Personalise your signet ring with a design engraved with precision, as seen in this incredibly detailed anchor. 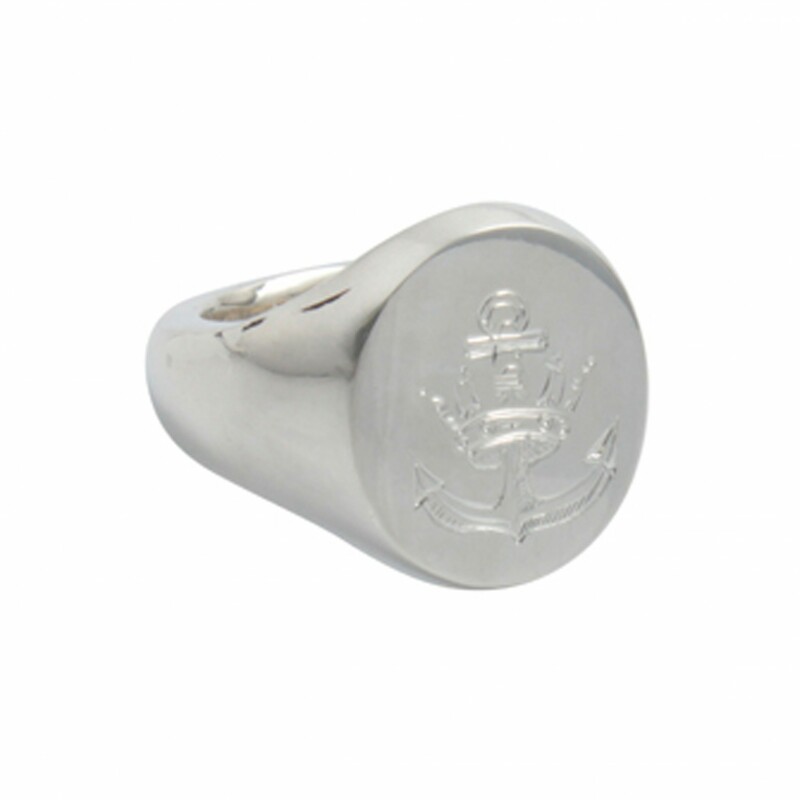 Comes in a presentation box and available within 10 working days.